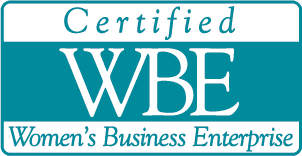 E.BOSTON, MA – Small Business Owner, Michelle DeFronzo of ImEx Cargo is making great strides in the local community serving the fastest growing population of Caribbean & Hispanics with a product that keeps them connected to their families and their homeland. “Since the events of 9/11 shipping packages anywhere out of the USA is not an easy task, there are many TSA & Customs compliance issues that need to be adhered to making it near impossible for people in the community to ship packages back home to their families who are sometimes in need of the basic necessities such as Food and Clothing” adds DeFronzo. Amerijet affords these individuals the opportunity to work with the all cargo airline where traditional passenger airlines cannot accept unknown direct shipper product or cargo unless you are or are working with a traditional freight forwarder. 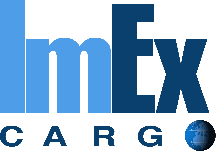 Last June, ImEx Cargo was nominated as authorized Cargo Sales Agent in New England for Amerijet, the all cargo airline established in 1974 with offices in 78 countries, serving 155 direct destinations in the Caribbean, Latin America, Puerto Rico and Mexico and our newest office in East Boston. “Our facility is located just minutes from the Boston Logan International Airport at 480 McClellan Hwy, East Boston, MA 02128,” adds DeFronzo. “Located at Horizon Air Services in a 40,000 sqft warehouse with screening capabilities and trucking options daily, its close to the airport and customers can come in and pack barrels and ship personal effects back home to their loved ones”. “We also work closely with families and funeral homes to arrange shipping deceased/ human remains back to their country for traditional burial services as this is very important to them”. “These folks may come here to live trying to make a better life for themselves and their family but for many they still have loved ones back home and want their remains shipped back for traditional burial services and we help them to achieve that”. adds DeFronzo. ImEx Cargo has been servicing the international airfreight market for more than 10 years with services to Asia, Middle East, Europe and Africa and now with the addition of Amerijet to its current portfolio of clients can now tend to cargo services for the growing Caribbean and Hispanic community who ship to the Caribbean, Latin America, Puerto Rico and Mexico.